When Chicago homeowners want to renovate their bathrooms, it will often involve the services of both a bathroom remodeling company and a Chicago plumber. Coordinating the services of two different companies can add to an already stressful remodel—so instead find a company that can handle the entire task! Scott Sypniewski is one of the area’s most trusted plumbers and owner of Chicago Bath, which is a top Chicago bathroom remodeling company. Chicago Bath is a proud Luxury Bath dealer. 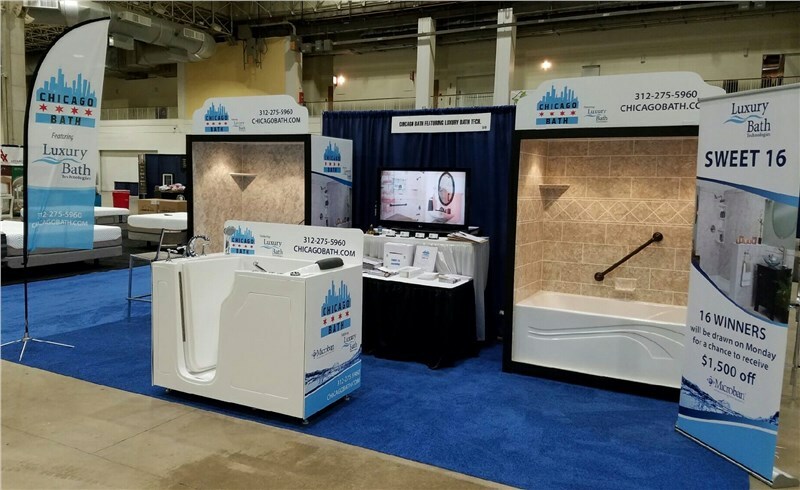 When you choose Chicago Bath for your renovation, it’s the only call you’ll have to make! Tubs and showers are made from durable acrylic for a lifetime of exceptional performance. Products are easy to keep clean and fresh without the hassle of daily scrubbing. Choose custom hardware and accessories for a custom finish. Dozens of style and color choices make it easy to get the look you want. Innovative installation process allows us to complete the project in just one or two days! When it comes to installing faucets, showerheads, and other plumbing fixtures, you want an expert on the job. That’s what you’ll get when you choose Chicago Bath. Through careful attention to detail and courteous customer service, Scott and his team have become one of the most trusted names in Chicago bath remodels and plumbing. Combine expert plumbing services with experienced Chicago bathroom remodel experts, and you’ll get a stunning result that exceeds your expectations. Because your plumber is also your bath remodeler, there will be no issues with scheduling and no lack of accountability should a problem arise. Instead, you’ll have just one company to deal with, simplifying the process and saving you money as well. Don’t put off that much-needed bath remodel for one more day. Call the company that can handle the project from start to finish! Give Scott Sypniewski and Chicago Bath a call today at (312) 646-3962 to learn more about their comprehensive services, or fill out the online contact form to schedule a free, no-obligation estimate.